After When you click Submit, you'll receive an email from Google with instructions on how to install Digital Wellbeing on your phone. It may take up to 24 hours for you to receive a message. So if you do not get a message right away, do not worry. Once you have received your email, all you have to do is follow the links. Tap Click the Beta Now button and then Download the Digital Wellbeing (Beta) app on Google Play on the next screen. This leads you to a hidden entry in the Play Store where you can download the update. Once the digital wellbeing is installed, you'll be ready to use it. You will not find it in the app drawer or on your phone. That's because it's not an app, it's an attitude. To find it, go to App Settings and scroll to Digital Wellbeing (between Accessibility and Google). Tap it and you'll be redirected to the main screen, where you'll see a pie chart view that tells you how much time you've spent on your phone today, how many times you've unlocked your phone, and how many notifications you have. have received. When you tap on any of the individual apps, you'll see a separate screen that shows you how long you've spent each day or every hour. Underneath the chart there are ways to break and reduce interruptions leading to a separate screen-time reduction feature. Let's take a look at each of them. The Digital Wellbeing Dashboard is similar to the main screen, but it is shown as a bar chart rather than a pie chart. You'll see today's statistics first, but you can go back several days. My phone logged only data that went back to July 29, but I was able to flip through the previous days with zero minutes of screen time. 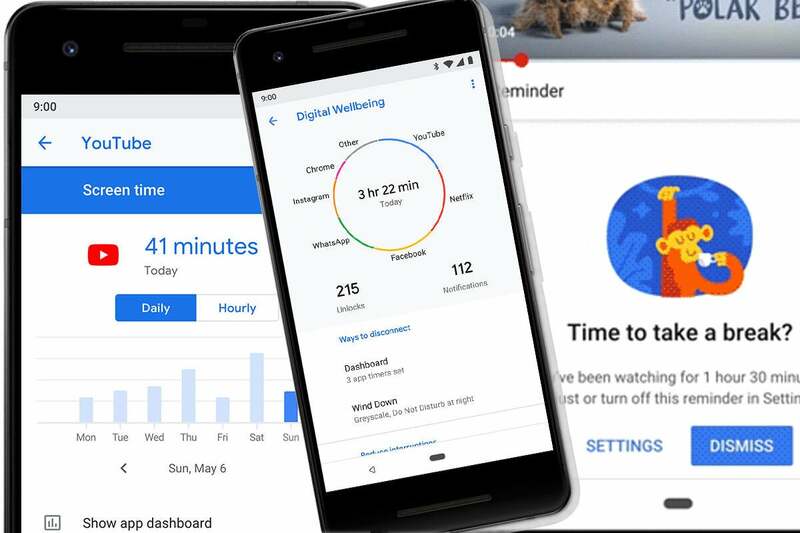 So Digital Wellbeing will probably track months of data as it goes live. Your dashboard looks easy, but it contains a lot of information. 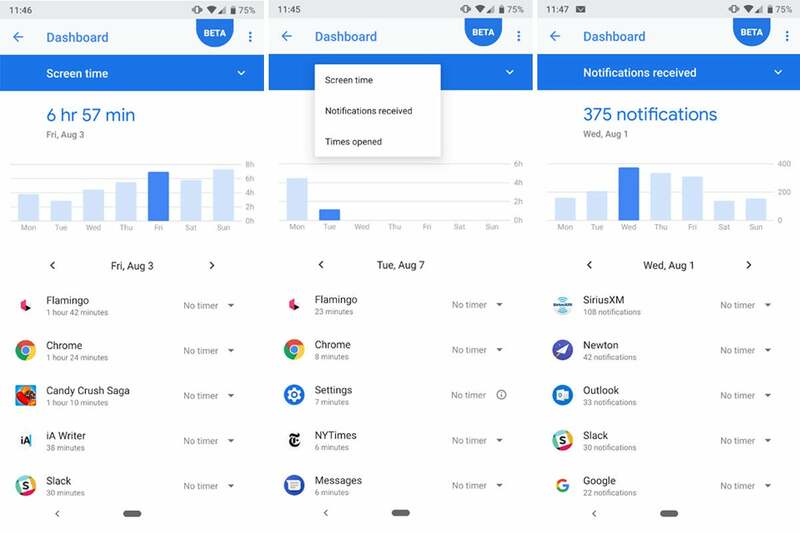 Screen time, received notifications, or open times are used to rate app usage, giving you a good overview of how long and often you use your favorite apps. Here you can also set timers How long can you use your apps daily? Tap the arrow to the right of the app and you can choose a 15, 30, or 60-minute timer or create a custom one. Timers are available in 5-minute increments from 5 minutes to 23 hours and 55 minutes. You can set a timer for each app except System Preferences. Once you've set a timer, Digital Wellbeing will start countdown each time you open the app. You do not see a timer on the screen, but it lets you know when you have one minute left. Once your daily allocation is complete, a message will appear on the screen preventing you from using it. However, if you press the More Information button, you can add more time or disable the timer altogether. As its name implies, Wind Down is a feature designed specifically for the end of your day. 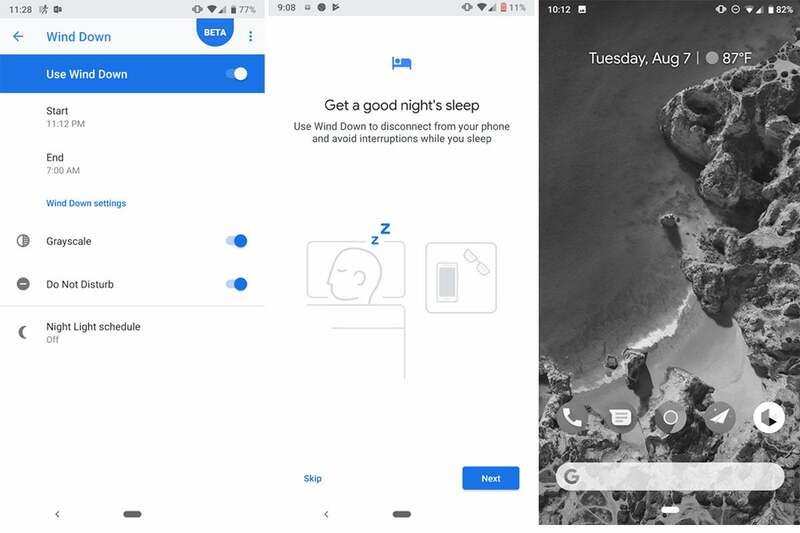 Inside you'll find a timetable for when you want to use it, as well as a switch to enable grayscale (which removes all colors from the screen) and Do Not Disturb, as well as your Nightlight Plan (the same Nougat) feature that reduces eye strain by: a blue light filter is added to the screen. The nightlight settings are separate from Wind Down, so you can implement it before Grayscale occurs. So, say, you choose a timetable between 11am and 10pm. and 6 o'clock in the morning and turn on all shutdown settings. If you use your phone at 11, your pixel's screen will turn black and white, and notifications will disappear. You can still use your phone, but theoretically you can fall asleep faster and with less stimulation. The third option of Digital Wellbeing is managing alerts, but there is nothing new here. It's just a shortcut to the App Notifications tab in Preferences, but users are more likely to use it rather than switching to app and notification settings. (In addition, Google has added a link in this field time in Apps that leads back to the Digital Wellbeing Dashboard.) The apps on this screen are automatically sorted in the order in which the notifications were received. It's getting easier be to disable persistent annoyances. While Do Not Disturb is a "Wind Down" toggle feature, the settings in a custom tab become much more granular. 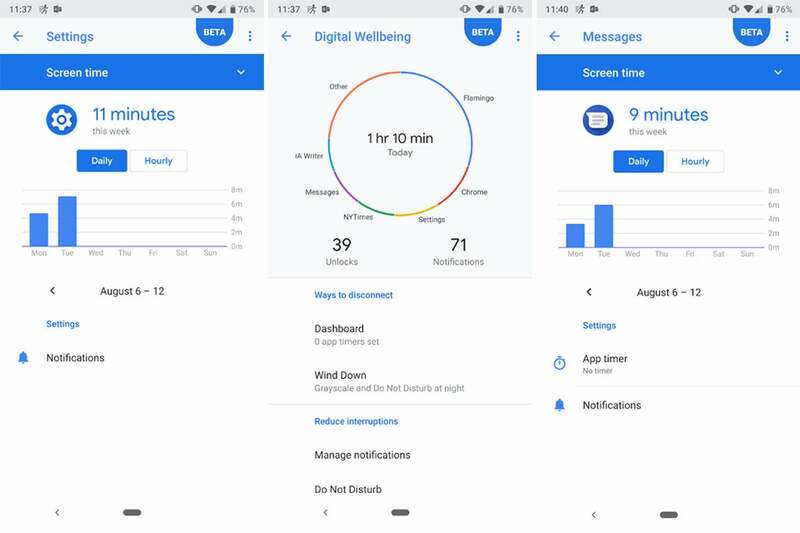 There is nothing new here (it just opens up the existing "Do Not Disturb" screen in the sound settings), but like notifications, people are more likely to use it under the umbrella of Digital Wellbeing. You'll see a beta banner at the top of the screen and a link to send feedback to Google. 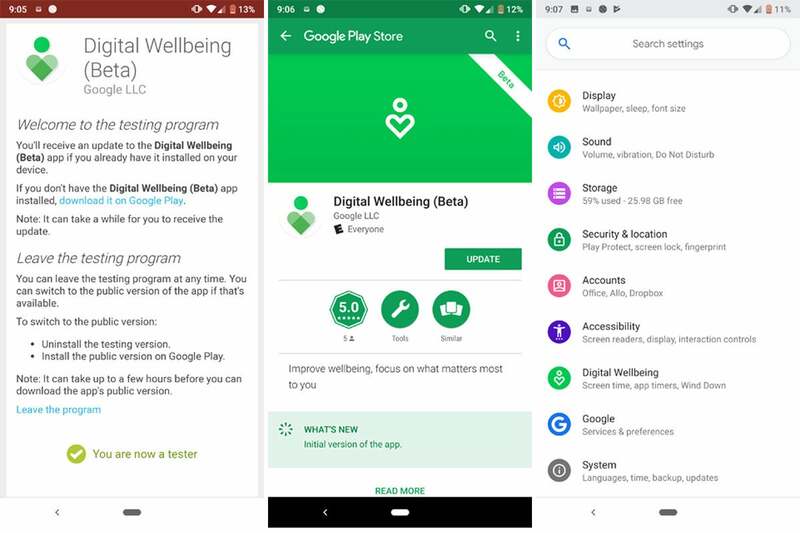 There will likely be some updates to the beta version of Digital Wellbeing before it ships in the fall, probably at the same time Pixel 3 arrives. To access this article and other PCWorld content, visit our Facebook page or feed our ] Twitter .